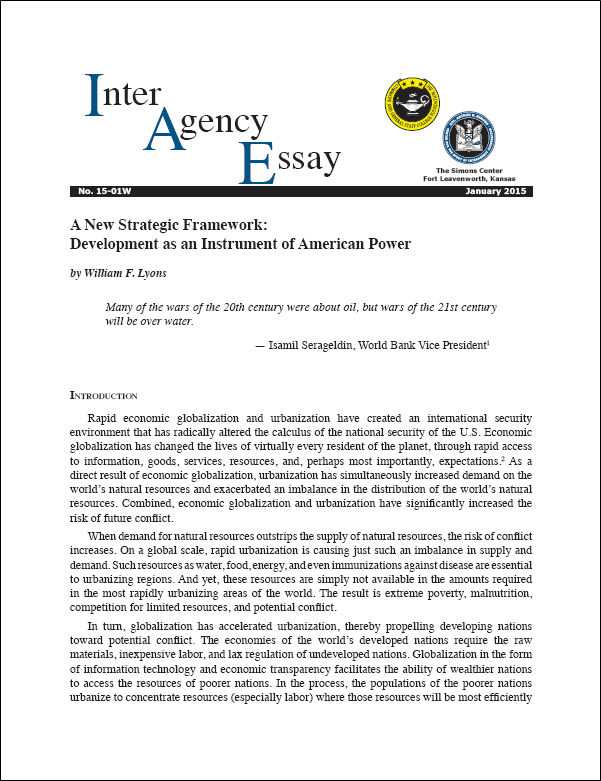 Rapid economic globalization and urbanization have created an international security environment that has radically altered the calculus of the national security of the United States. Economic globalization has changed the lives of virtually every resident of the planet, through rapid access to information, goods, services, resources, and, perhaps most importantly, expectations. As a direct result of economic globalization, urbanization has simultaneously increased demand on the world’s natural resources and exacerbated an imbalance in the distribution of the world’s natural resources. Combined, economic globalization and urbanization have significantly increased the risk of future conflict. If conflict over limited resources is more likely in an era of rapid globalization and urbanization, what are the implications for U.S. national security policy? If history is an accurate guide, the implications are clear. The U.S. will need to develop a comprehensive strategy to address numerous small-scale international conflicts. Whether the U.S. elects to participate directly or indirectly in them, these regional conflicts will affect U.S. interests, and thus will require a response. 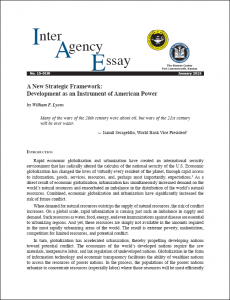 This essay explores the four traditional instruments of national power – diplomatic, economic, informational, and military, or DIME – and proposes that development be included as an instrument of national power.